It’s that time of year again when membership fees are due. Sharing information and expertise with a national network of business continuity professionals. Attendance at HEBCoN regional meetings. Attendance at regional business continuity training events. The opportunity to attend the HEBCoN Annual Conference. Access to a library of resources including plans and training slides. 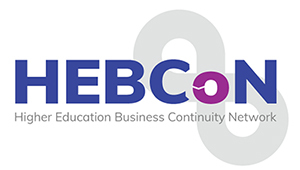 Access to a bank of full time business continuity professionals in the academic sector. Access to the HEBCoN email distribution group. Discounts offered through partners and other companies. To pay go to our Members’ Benefits page.